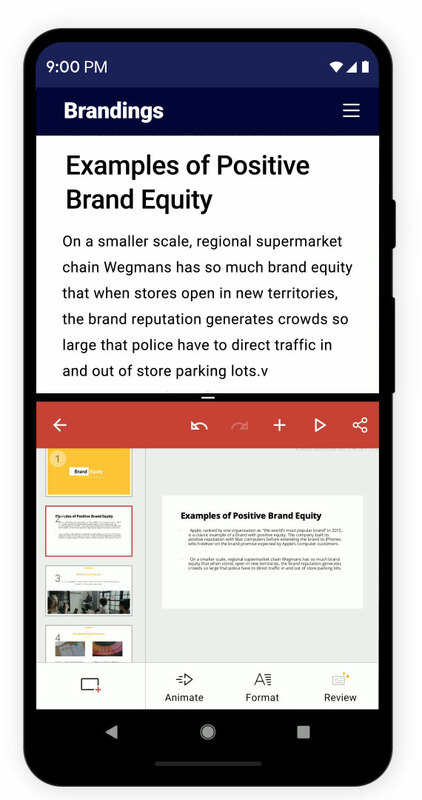 Create presentations on your Android device. 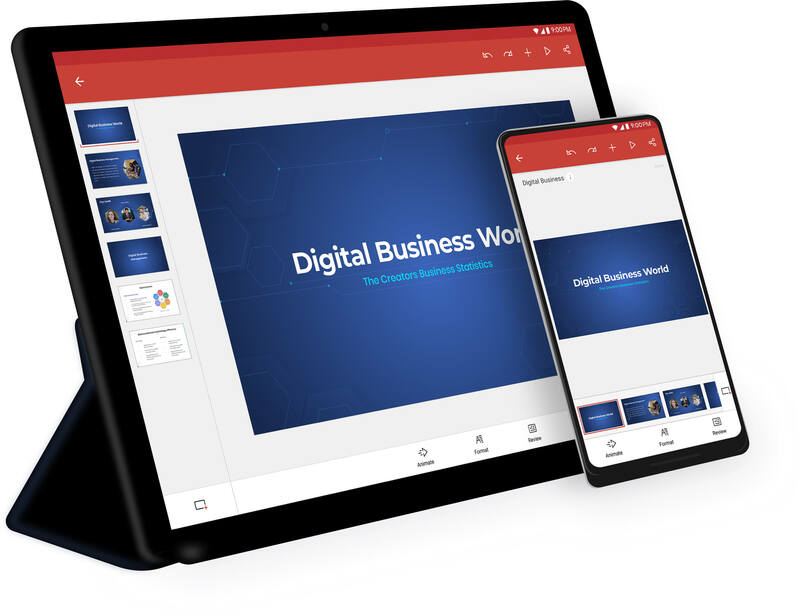 With the Show app for Android -- create, design, share, and deliver presentations right from your smartphone. Capture ideas wherever they arise. Start drafting your thoughts right away. Create presentations by picking a theme and quickly organize your content using layouts. Log in using your Zoho account to sync your presentations to the cloud. Edit, design, and refine your ideas. 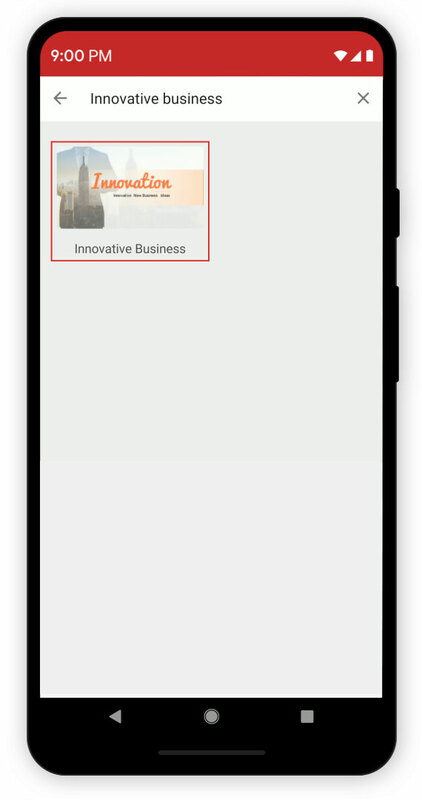 The Show app for Android offers a wide range of formatting tools to edit and style text, images, and shapes. Add effects to text, drop shadows onto an image or fill shapes with a gradient-- directly from your smartphone. Share slides and work together. Invite your team and assign specific roles based on what you want them to do. Work with your team in real time and receive instant updates on any changes made to slides created by or shared with you. 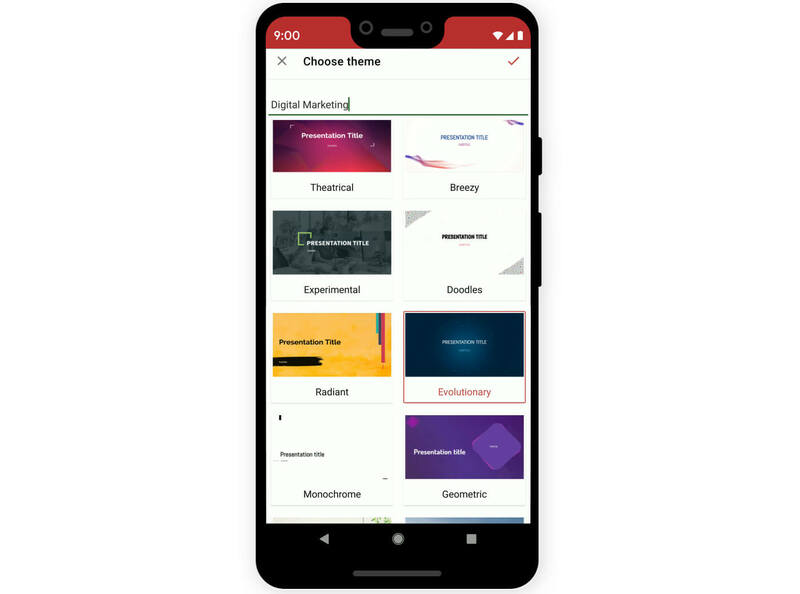 Create slides instantly or access the last modified file by using Android Shortcuts. 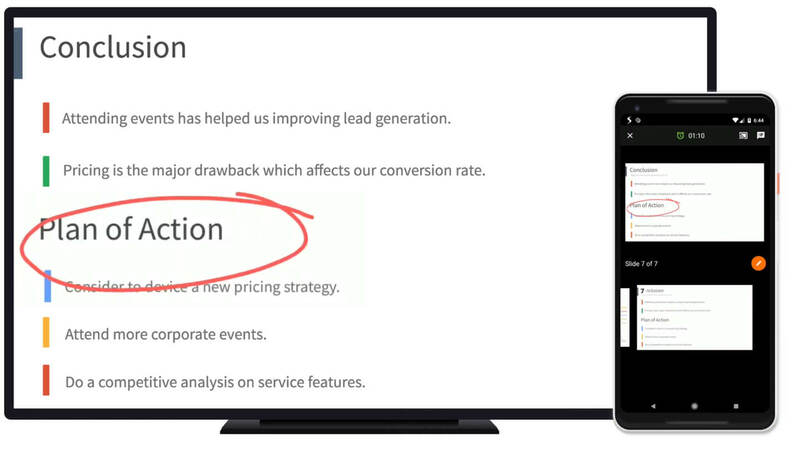 Use search and effortlessly spot presentations that you are looking for. 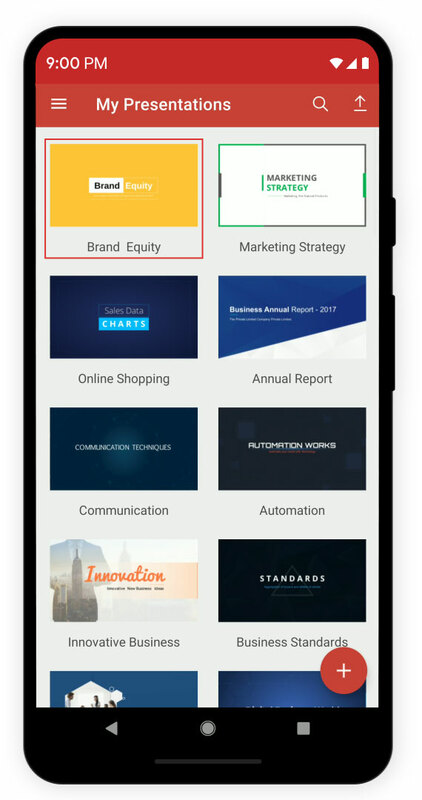 Open any presentation attachment or link that you receive on your phone with the Show app. Email attachments opened are automatically synced to your account. Show supports split screen mode, which means you can work on two different apps simultaneously. Research the web and gather data from one side and add those references to your slides from the other. Whether it's an unexpected elevator pitch or a planned conference, Zoho Show let's you take the stage and start presenting immediately. Forget clickers; you can connect right to the TV and control slides using your phone. 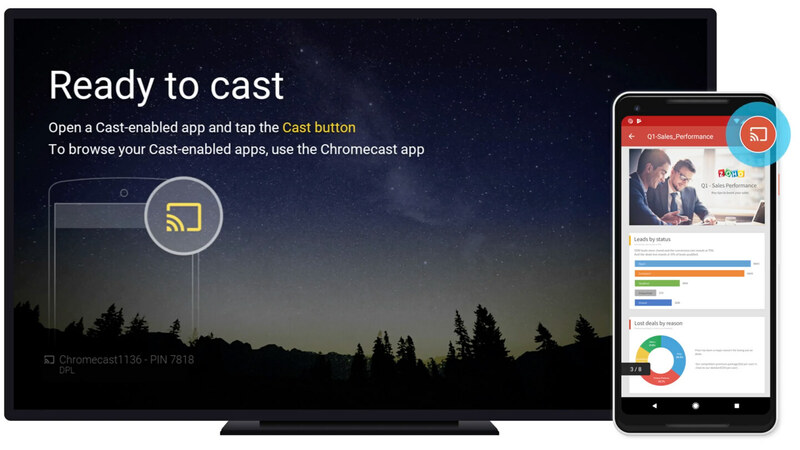 Say goodbye to bulky projectors -- stream presentations right from your Android phone to the TV using Chromecast. A smart remote for your TV. Cast your device and control slides using Show's remote view. 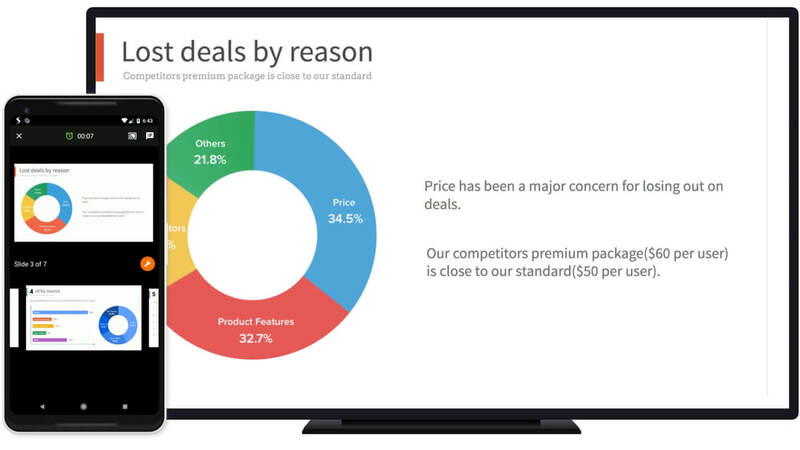 Navigate through your presentation and see the changes on the big screen, in real time. Emphasize slide elements using the pen, highlighter, and erase tools right at your finger tips. You can even black out your screen when you want people to really listen to what you're saying. Do more with Android wear. Control slides right from your wrist. 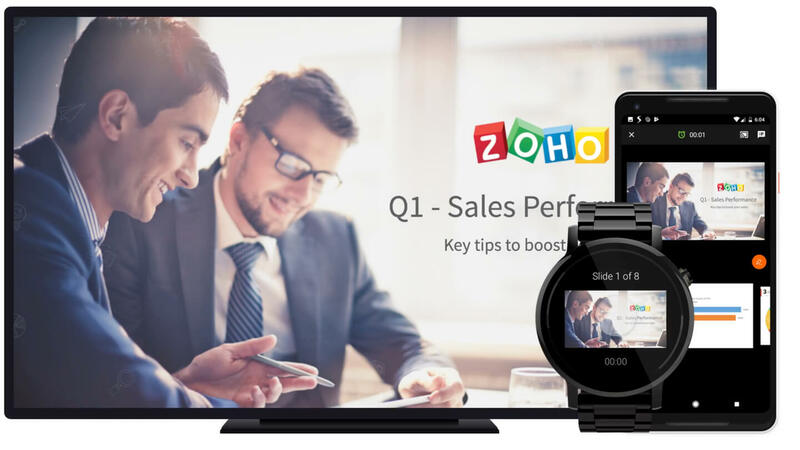 Pair your Android phone and deliver presentations using your Wear OS device. Navigate through slides, track the time that's elapsed, black out your screen, and keep the show going. Import slides from the cloud. 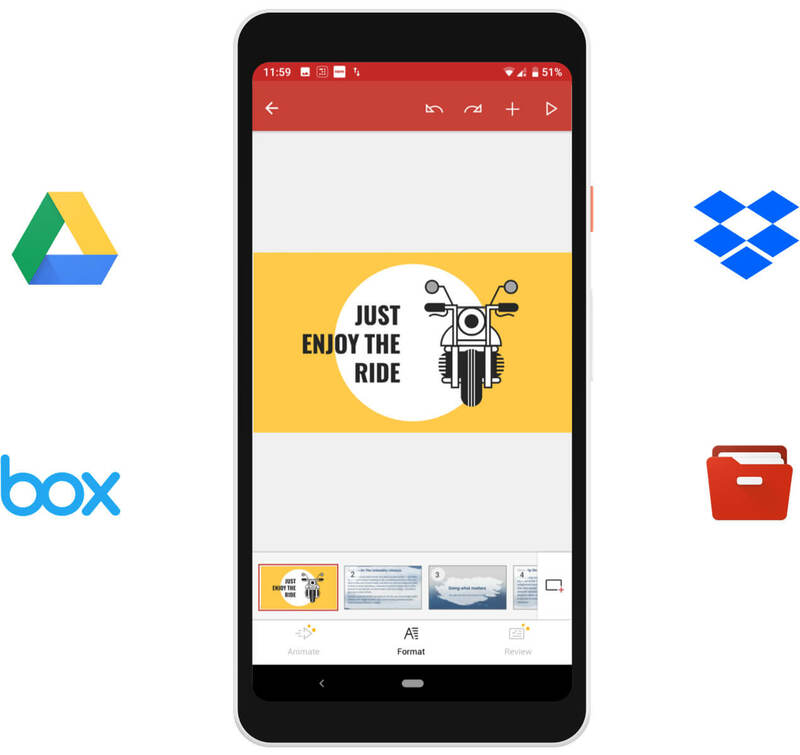 Import presentations from your device or cloud storage service (Google Drive, Dropbox, Box, etc.) to edit them right from your smartphone, all without having to log in. Once you sign up or log in, everything will automatically sync.